This course is the insider’s guide to the “risk-free package” industry, revealing how to score priceless experiences at BETTER rates. The 5 categories of consignors, so you can better identify if their offerings are reasonable for your budget, appealing to guests, and useful to your net goals. How to compare the pricing models used, and learn model best serves your needs. How to sell consignment so it feels fair to guests. It’s OK to be transparent; you don’t want it to be awkward for your guests. Your nonprofit uses consignment, but has been working with 1 or 2 consignors because that’s all you know. Your nonprofit has never used consignment because the packages were too pricey to be a realistic option. You don’t have plans to use consignment, but you’re working on a fundraising auction and want to understand the industry, just in case this information could come in handy. Many nonprofits already using consignment in their auctions are paying too much for consigned trips and experiences. Some “priceless” experiences are not rare, but are instead widely available commodities. Nonprofits willingly pay $300 to $1500 more than they need to because they don’t know other consignors are offering identical trips. If you’re already using consignment in your auction, there’s a good chance you are using the wrong vendor for your event size. And it’s probably because you only know of one or two vendors. If you’re not using consignment in your auction because the trips are too expensive and your bidders can’t afford to pay a lot of money, then you don’t realize the breadth of competition in the industry. I’ve done the research – there are price points that allow even the smallest auctions to have a shot at raising a lot of money. 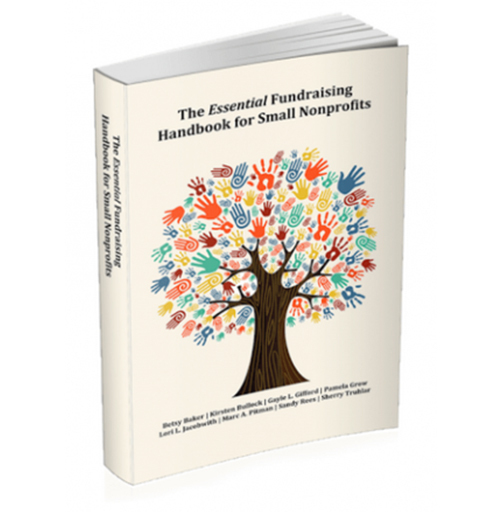 Some nonprofits don’t know of all the ways they can use consignment to make their event fresh. We’re addressing consignors working in the travel and one-of-a-kind experience (e.g. award show or concert tickets) space. ​​​​​​We don’t cover consignors offering jewelry, art, sports memorabilia, signed celebrity guitars, etc. Any class that Sherry has offered has helped my fundraising in so many ways. The consignment auction was no exception. I can’t wait until our next online auction to work some of her suggestions into our plan. Her experience and knowledge are invaluable to all who will listen! Thanks Sherry for all you do for so many non profits. Will used what we learned in the class to sell two trips to Paris netting over $2,500 just last Saturday. We now feel like we understand consignment and will put something like this in our auction every year. Great information delivered in an easy-to-use format. Will definitely put some of these practices in place for 2018. 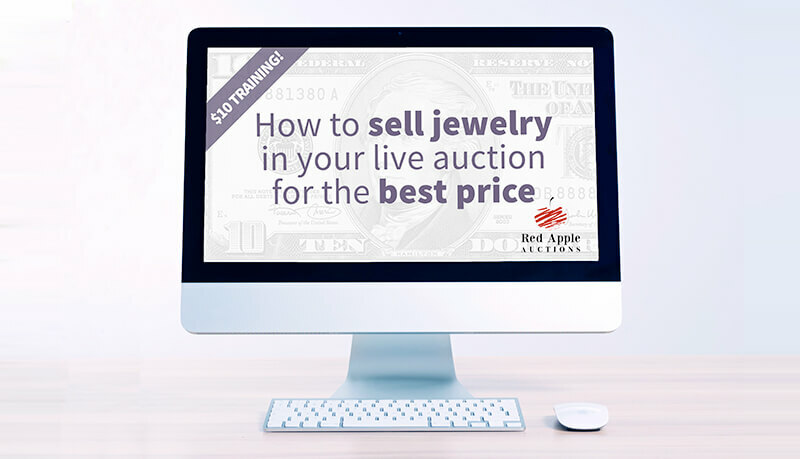 I am an experienced Director of Events and I found the Auction Consignment webinar/recording really helpful! I picked up several important pieces of information that I know will save my nonprofit organization money and allow me to offer exciting items in my upcoming live auction. This course was great. It not only went through tips on ways to get consignment items but different ways to offer consigned items at your event. The class was well worth the cost and time. Thank you Sherry for sharing your expertise, this course was very helpful and gives me more confidence and knowledge should we decide to seek consigned items. I always find Sherry’s classes to be helpful, with practical tips. We have offered the Elite Island Resort packages in the past, but had some complaints. Sherry offered an option of using these packages that I hadn’t thought of before and that would make the items more appealing to potential bidders. We had also offered the Kinsale, Ireland package from WOW! Factor once, with good success, but hadn’t had much success with any other WOW! Factor options–but, again, Sherry offered some ideas for how to make these more attractive to potential bidders. We’re definitely going to look into the consignment companies referenced in this class and see what we can put together for our next gala, which will be celebrating the 25th anniversary of our organization. Your classes inspire me and give me great ideas. The challenge I face is my location. I live in Alaska. I am able to get some great trips but to fly out of here to anywhere in the lower 48 is usually a pretty penny. People are not so quick to give up airmiles to help reach a destination. Our ‘rules’ up here are different, venues, procurement items and even the fund raising mentality of the people. I take what I glean from your webinars and try to mold it to our ‘culture’ which is always an exciting challenge for me. I appreciate your knowledge and take all I can to use here. Thank you! This course was very helpful. Our organization is waivering on having consignment items in our auction and wondering what company we should use. She introduced to so many options that I did not know existed. This course was very informative! Great session, Sherry is constantly teaching me new tricks of the trade. We have worked together for years and I love how she stays cutting edge and like, in this workshop, qualifies industry leaders and best practices. Great use of my limited time. Thank you Sherry and Red Apple team. Sherry’s auction tips have helped me with organizing auctions and leading other volunteers. This has given me ideas for creating local packages (we have LOTS of wineries and destination resorts in our region). I have found that the “Buy now at the full price” to be effective. One purchaser chose to pay full price for a restaurant as she would have spent the full amount anyway! Thank you for all of the information. We are just getting back into the silent auction arena and the information that you provided will be helpful and hopefully help us raise more money. I didn’t realize there were so many more options out there and to let us know who is good at what really helped. Echo the comments that Sherry’s webinars are always very helpful. She provided specific information that can be used as presented, tailored to specific needs or provide a creative jumping off point. We will be using a couple of new vendors this year to broaden our offerings. We offered a consignment trip through Winspire for the first time at our Gala in the beginning of April, and it was well-received. However, now that I’ve taken this tele class, I have so many more ideas and options for next year’s Gala. I know that we can build on our experience this year, and the Sherry’s class was well worth the time and (small) cost. This was a good course and helped me find more options for our silent auction. I decided against a certain consignment auction group (for trips) based on what I heard and will investigate the other options more thoroughly before our next auction. My greatest struggle is not having enough volunteers to procure the auction items and help run the auction itself. I’m buried under with all the other event planning responsibilities and could really use a committee to do the leg work before hand. Thank Sherry for helping us further develop our consignment plans for our auction. We learned valuable advice in researching new companies and opportunities. This class was quite an eye opener for me. We have dabbled with consignment auction items with only one firm because that is all we knew about and with poor success. Learning about so many options for consigners and the many different ways to use them has caused me to take a second look at this possibility for our next auction. Thanks Sherry, for always having such great information to share! Sherry’s classes are always informative and well-presented. The Auction Consignment class was particularly so, as it made our organization re-think the use of consignment items, and in the end save us thousands of dollars!! Thanks so much, Sherry! Thank you Sherry for another informative and timely class! We had just finished our 3rd Auction a week prior and had used a consignment trip. We sold 3 of the packages for $3000 total profit! I was so appreciative of you giving us more information and references to follow up with for next year! Thank you again for a fun, helpful class! Sherry is a terrific teacher. If you are new or experienced, her exposure to the broader fundraising world is full of insights that YOU NEED to make your events perform better! I have taken about 8 of her trainings and I am never disappointed. If this particular one is not for you, keep looking at all her offerings! This one, however, infused our committee with lots of fresh ideas and helped everyone perform better! I would recommend it highly! Whenever I take any kind of class I’m always looking for the one “nugget” of information that will make a difference in my event planning and production. With Sherry’s classes I always walk away with many nuggets that are so useful and impactful on how I approach my auction planning. I always try to remember that you will never stop learning about events because they are always changing, the industry changes, guest wants and needs change and so you need to be able to grow and update your events accordingly. Sherry is great because she travels the country and sees so many types of events so you get the benefit of her knowledge. Thank you Sherry and can’t wait for the next class! Great information on the different opportunities for consignment. Enjoyed the course. I learned a lot about other places to get consignment items and how to use them in the auction. These are great resources for amateur event coordinators like me! !